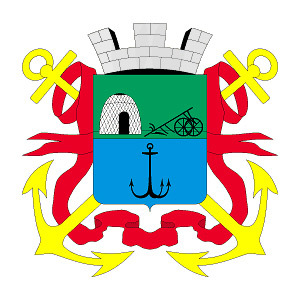 The city of Zaporozhye oblast. Berdyansk (also spelled Berdiansk) is a city of regional importance located in the south of the Zaporozhye region of Ukraine, on the northern coast of the Azov Sea. It is a marine, climatic and mud resort of national importance, as well as a large seaport. The population of Berdyansk is about 113,000 (2016), the area - 82 sq. km. The phone code - +380 6153, the postal codes - 71100-71127. Local time in Berdyansk city is April 21, 9:13 pm (+2 UTC). 15 June, 2017 / The resort city of Berdyansk in early summer. 1 December, 2016 / One hot summer day near Berdyansk. One of the first peoples of the Northern Azov Sea region were the Cimmerians. In the 6th millennium BC, they were driven out by the Scythians. In the 2nd century BC, new nomads - the Sarmatians settled the territory of present steppe Ukraine. Later, across the boundless Azov steppes, numerous tribes of the Huns, Avars, Khazars passed. It was a “great migration of peoples”. In the 11th-13th centuries, the Polovtsian tribes lived here. In the 13th century, the Nogai people settled in this area. They were nomadic Turkic-speaking tribes, who were engaged mainly in cattle breeding. Until 1783, the territory of the Northern Azov Sea was part of the Crimean Khanate, a Turkic vassal state of the Ottoman Empire. After the second Russian-Turkish war, the lands of the Crimean Khanate were captured by the Russian Empire. The territory was populated by people from central Russia, as well as foreign settlers, primarily Germans. At the beginning of the 19th century, the economic interests of the Russian Empire required the construction of a port on the northern coast of the Azov Sea for export of wheat. In 1824, a special expedition was sent to find the most convenient place for the construction of a pier. In the autumn of 1824, the coast of the Berdyansk spit was surveyed and the port construction site was determined. In 1827, the construction of the pier began. Simultaneously with it, on the shore of the Berdyansk Bay, the village of Novo-Nogaysk (soon renamed Berdyansk) emerged. 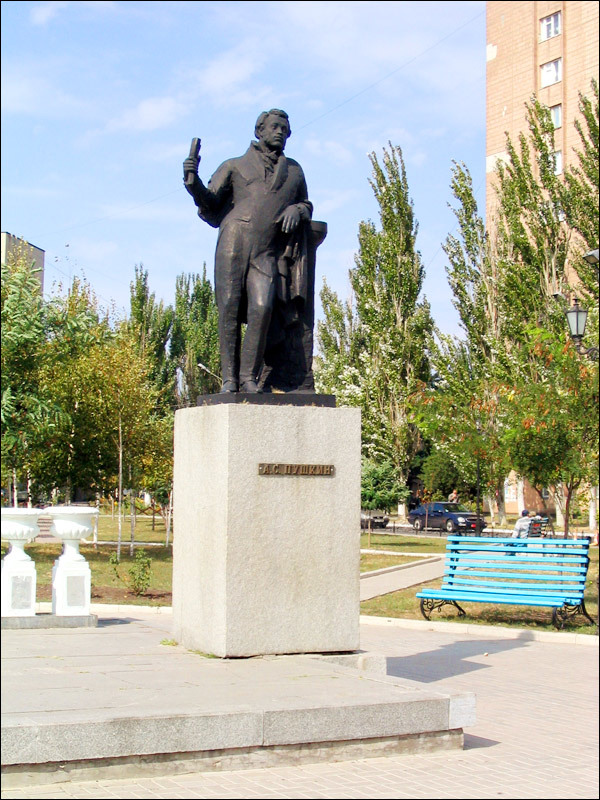 This year is considered the year of the foundation of Berdyansk. In 1838, the population of the settlement was 3,200 people. 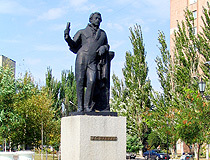 In 1841, the seaport received the status of the town with the official name - Berdyansk. This word is of Turkic origin and comes from the name of the Berda River, which means “rich”. 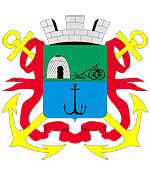 In 1845, the coat of arms of Berdyansk was approved. 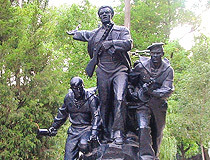 In June-July 1855, during the Crimean War of 1853-1856, the town was shelled from the sea by a British-French squadron. 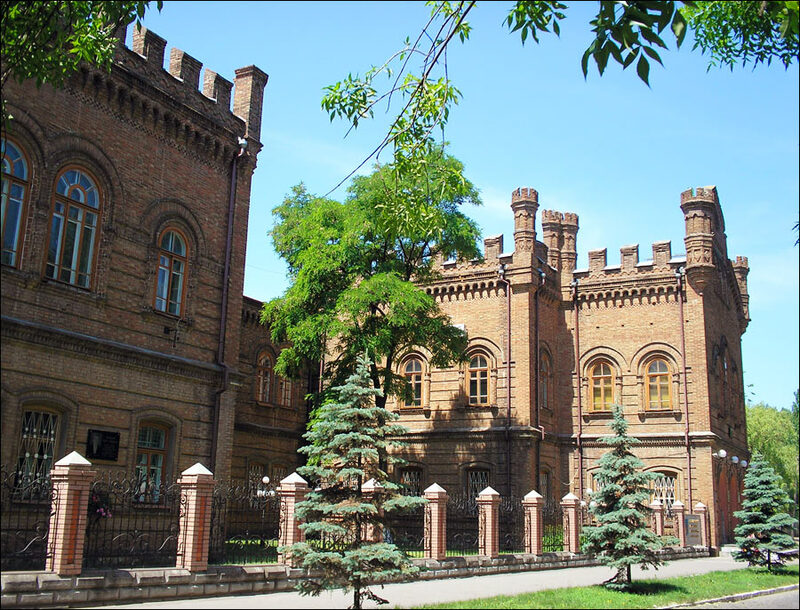 In the middle of the 19th century, industry and handicrafts developed intensively in Berdyansk. There were 15 factories for the production of bricks, a candle factory, breweries, 6 steam mills, 15 fish processing factories, 200 grain stores, and 70 merchant shops. 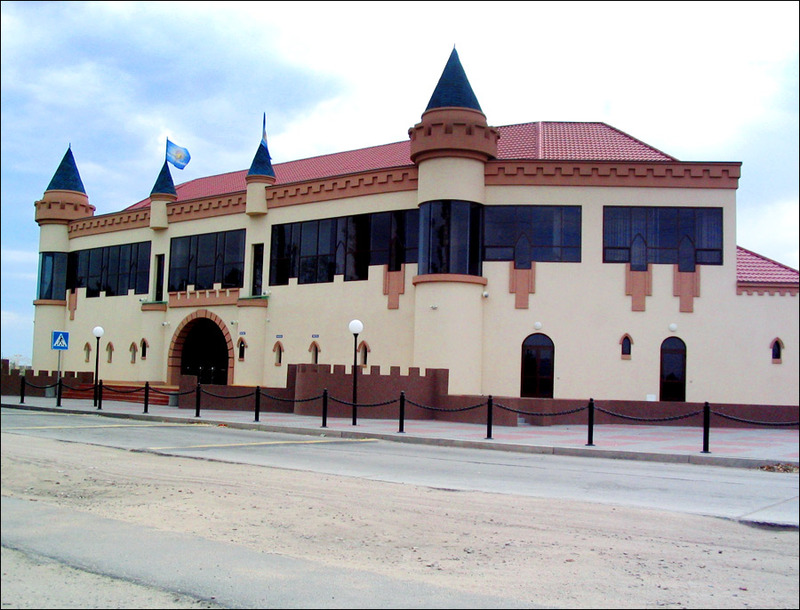 There were also hotels, taverns, 15 wine cellars, 3 coffee shops, and a casino. Three large fairs were held annually. Berdyansk developed as a multinational town in which the German colonists, Ukrainians, Russians, Jews, Italians, Bulgarians, and Greeks lived. At the end of the 19th century, stone quays, the second lighthouse and a railway were built. The overall layout of the town was formed. It has survived to the present day in the central part of Berdyansk. Trade consulates of Greece, British Empire, Italy, Austria-Hungary, France, Denmark, and other countries were opened in Berdyansk. From the end of the 19th century, Berdyansk also began to develop as a seaside mud and climate resort with sandy beaches on the Berdyansk spit. In 1897, the town’s population was 26,500 people. 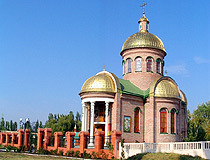 There were about ten Orthodox churches and two Jewish synagogues in Berdyansk. The power station built by the French-Belgian joint-stock company provided electricity to the houses in the central part of the town. In 1913, about 35,000 people lived in Berdyansk, there were 20 schools, 3 clubs, a theater, a library, and 3 movie theaters. Based on the results of the conducted studies it was proved that Berdyansk muds had high efficiency in the treatment of various diseases. In 1917-1920, during the Civil War in the territory of the former Russian Empire, power in the town changed several times. In 1921, the Soviet power was finally established in Berdyansk. In 1922, the first vacationers came to the resort. In 1924, the production of agricultural machines was resumed. The mechanical workshops of Berdyansk port also resumed work. In 1925, the pedagogical and mechanical technical schools were opened. In 1929, a museum of local lore was built, in 1930 - an art museum. In 1937, the construction of the power station was completed. From 1939 to 1958, Berdyansk was called Osipenko, in honor of Polina Osipenko - a Soviet pilot of Ukrainian origin; one of the first women awarded the title of Hero of the Soviet Union. In 1940, there were 20 sanatoriums and rest houses, 12 clubs, 7 movie theaters, 4 parks in the city. The population reached 55,000 people. October 7, 1941, during the Second World War, German troops entered Berdyansk. The Germans took about 11,500 inhabitants of the city to hard labor in Germany. More than 6,000 residents were killed during the occupation. 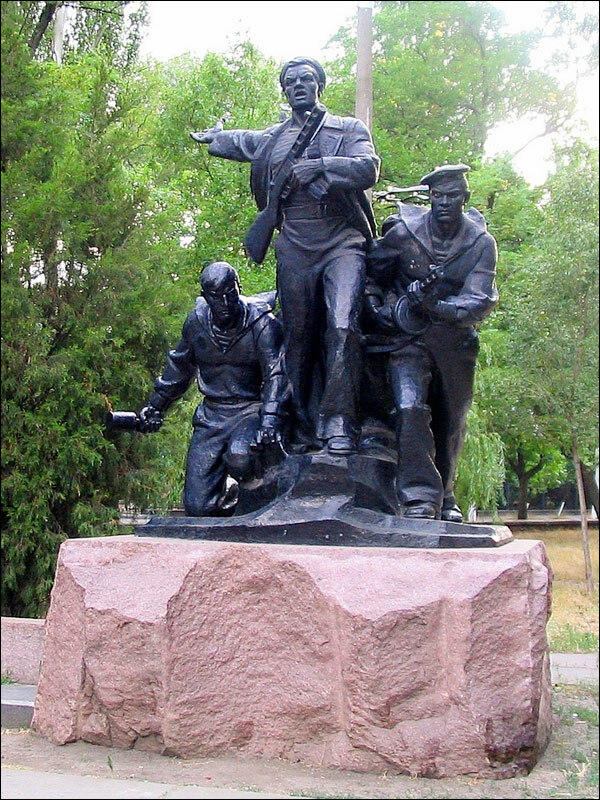 September 17, 1943, Berdyansk was liberated by Soviet troops. Since then, September 17 is celebrated as the Day of Liberation of Berdyansk and the City Day of Berdyansk. As a result of the fighting, more than 80% of residential buildings were destroyed. The process of rebuilding began almost immediately after liberation. In 1943, a music school was opened. Recreational facilities were reopened. In 1946, the local history museum, art gallery and other cultural institutions resumed their work. 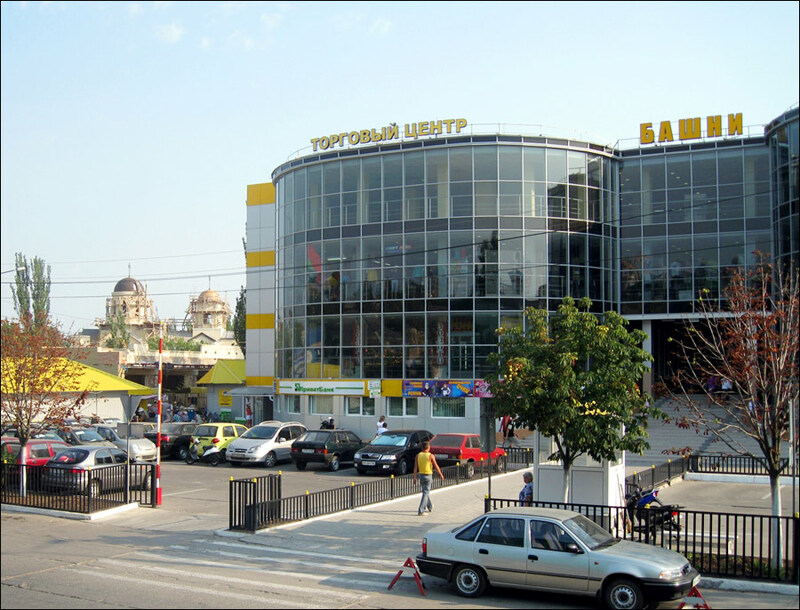 In 1950, Berdyansk had 2 movie theaters, 5 clubs, 17 libraries, and a stadium. In 1948, the construction of a cable factory began. In 1958, a glass fiber plant was put into operation in the city, equipped with the latest technology of that time. Since the late 1960s, the enterprises of Berdyansk continued to increase their production volumes. The products of the local factories were widely known not only in the USSR, but also abroad. In 1970, the city received the status of a resort of All-Union significance. In 1973, the gasification of Berdyansk began. In 1977, a solemn celebration of the 150th anniversary of the city took place at the stadium “Torpedo”. In 1978, on the northern outskirts of Berdyansk, in the village of Novovasilievka, the Berdyansk mound was excavated. It was one of the few surviving Scythian royal burial mounds, which age dated back to the middle of the 4th century. BC. Gold jewelry and other items found in the mound are kept in the Museum of Historical Treasures of Ukraine in Kyiv. In 1976, the population of Berdyansk was about 117,000 people. In the 1970s-1980s, much was done for the further development of housing and industrial construction, general improvement of the city. On the Berdyansk spit several recreation centers, boarding houses, pioneer camps were built. A multi-storey building of the sanatorium “Berdyansk”, as well as buildings of sanatoria “Lazurny”, “Priazovye”, “Azov”, “Neftekhimik Ukraine” were constructed. 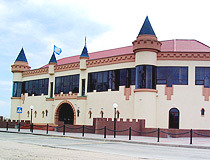 In these years, the Palace of Culture, the House of Pioneers (the Center for Children and Youth Creativity), the department store, the restaurant “Kristall”, the hotel “Berdyansk” were opened. In 1989, about 133,000 people lived in Berdyansk. During the economic crisis of the 1990s, in connection with the collapse of the USSR, industrial production at state-owned enterprises of the city declined, private entrepreneurship emerged. Since the 2000s, the city began to develop again, the reconstruction of avenues, squares and houses began. In the early 2000s, several churches were built. On September 1, 2004, the 18-year construction of the 175-kilometer Berdyansk water pipeline from the Kakhovka main channel R-9 (going from the Dnieper River) to Berdyansk was completed. The city received a reliable source of clean drinking water. January 11, 2005, Berdyansk was granted the status of a resort of national importance of Ukraine. 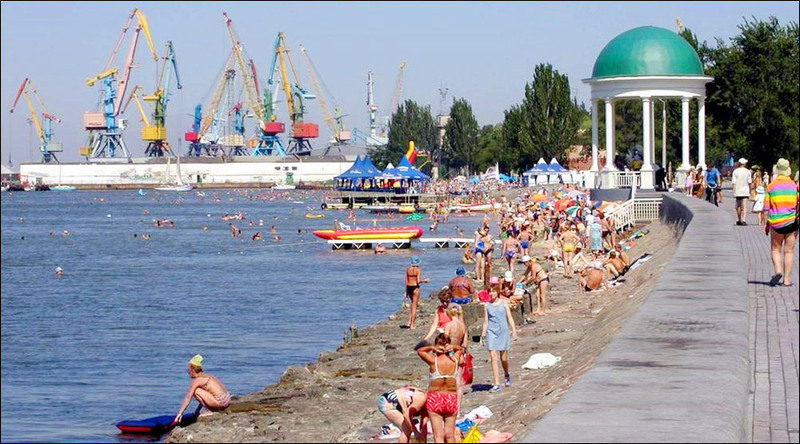 June 1, 2006, at the beginning of the Berdyansk spit, the largest water park in Ukraine was opened - the first large-scale construction of the tourist infrastructure of the city since the beginning of the 1990s. The city of Berdyansk is located about 84 km south-west of Mariupol. The climate is moderately continental with long, dry and hot summers, and short, mild winters with little snow and frequent thaws. The average temperature in August is plus 24 degrees Celsius, in January - minus 2.3 degrees Celsius. The average number of sunny days per year is 179. 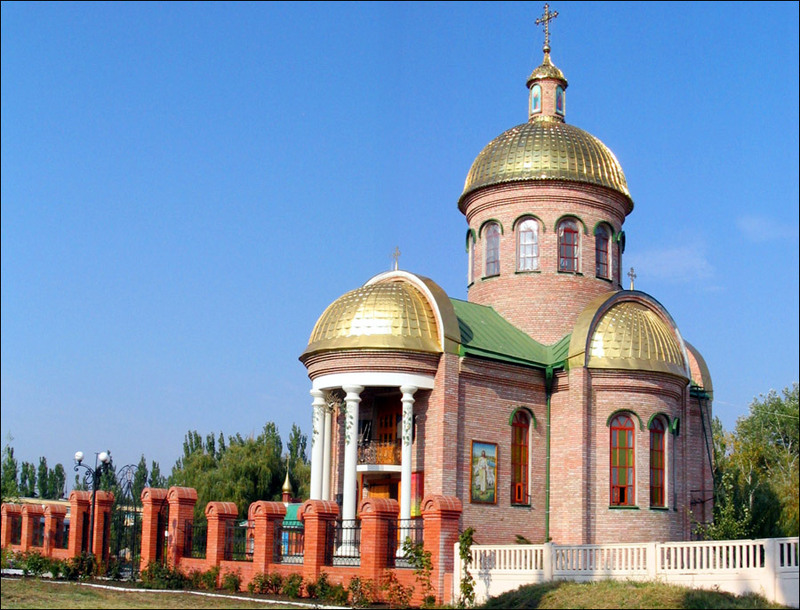 Berdyansk is located 10 km from the highway of the national importance Reni - Odessa - Rostov-on-Don (Russia). It is an important industrial center of the region. In the city there are about 20 enterprises of various industries: metalworking, food and petrochemical industries, machine building. In general, Berdyansk is one of the best places to rest in the Sea of Azov area. Numerous sanatoriums have everything you need for rest and treatment - medical facilities, best practices, healing sulfide silt mud, and mineral water. It is a popular mud and climate resort. Salt lakes located near the mouth of the Berda River, at the base of the Berdyansk spit, are known for their unique healing mud and mineral springs. On the territory of the Berdyansk spit, there are dozens of different health institutions. 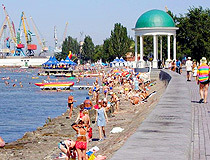 Berdyansk is also a seaside resort. The city is also famous for its golden beaches with a yacht club and a windsurfing club. You can enjoy hang-glider flights and water scooter rides. Water in this part of the Azov Sea remains warm until late autumn. There are no sharp temperature changes, unlike the Black Sea. The swimming season lasts from mid-May to mid-September. In May, the water warms to 26 degrees Celsius, and up to 30 degrees Celsius in June. In winter, the sea often freezes, cold winds blow. Urban transport is presented by minibuses and buses. Bicycles are also one of the popular types of transportation around the city. 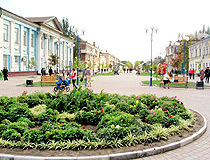 The City Day of Berdyansk is celebrated on September 17. 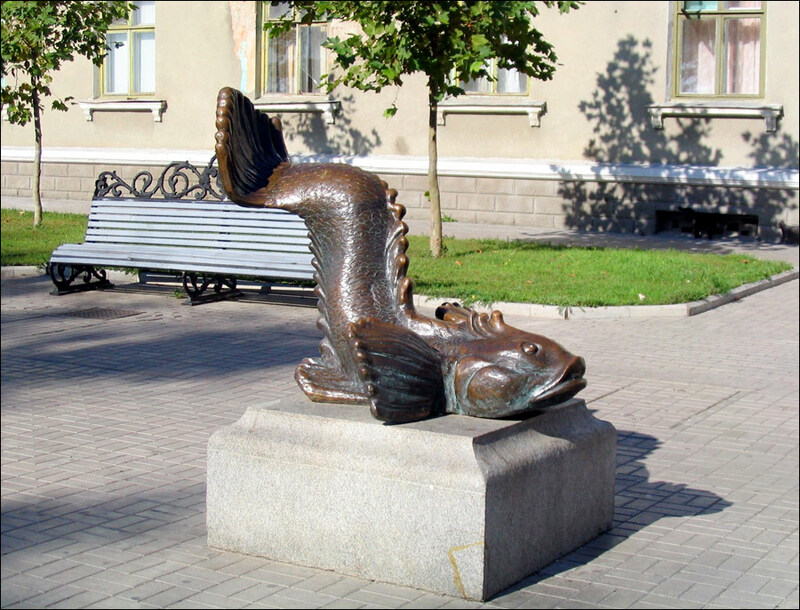 Monument to Goby Fish - the Breadwinner - one of the attractions of the Berdyansk waterfront. 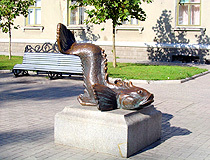 Installed in 2001, the monument is dedicated to the main catch of local fishing industries - the Azov goby fish, which saved the city from hunger during the Second World War and the first postwar years. 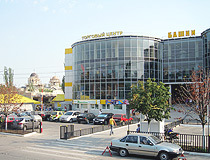 Prymorska Square. Zoo “Safari”. This private open air zoo was opened in Berdyansk in 2004. It occupies the territory of 2.5 hectares at the very beginning of the Berdyansk spit. There are about 60 species of exotic animals. 36 of them are listed in the International Red Book. At the entrance you can buy food to feed the animals. Free entrance for children up to 1 meter in height. The territory is not very large, so sometimes there can be too much people. Perlynna Street, 5. Opening hours: 9:00-21:00. Berdyansk Lighthouse (1838) - an architectural monument located at the very end of the Berdyansk spit. 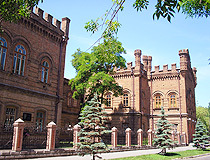 It is one of the oldest buildings in Berdyansk. Today, at a height of 70 m, a radio beacon is installed, which is switched on, if necessary. Makarova Street, 185-g.
Berdyansk Museum of Local Lore. The museum is located in the first floor of a three-story residential building constructed in the middle of the 20th century. Here you can see items of the Scythian period of the 4th century BC, the interior of the Ukrainian peasant hut of the 19th century. There are separate expositions devoted to the Greeks and Bulgarians of the Black Sea region. In the square in front of the museum there is a collection of Polovtsian stone women, as well as an old cannon of the Crimean War times. Peremohy Ave, 14. Opening hours: 09:00-17:00. Day off: Friday. Art Museum named after I. Brodsky. This museum was founded on the initiative of the Soviet painter and graphic artist I. Brodsky in 1930. In the main part of the exposition, you can see his collection that includes paintings created by I. Repin, I. Korovin, M. Vrubel, N. Roerich, I. Levitan, V. Makovsky, V. Serov, A. Benois, M. Chagall, etc., as well as the works of Brodsky himself. Today, the museum has about 4,500 works of painting, sculpture, graphics, and applied art. In particular, the picture of I. Aivazovsky “The Storm on the Sea” (1896) is presented. Tsentralna Street, 29. Schmidt Park. 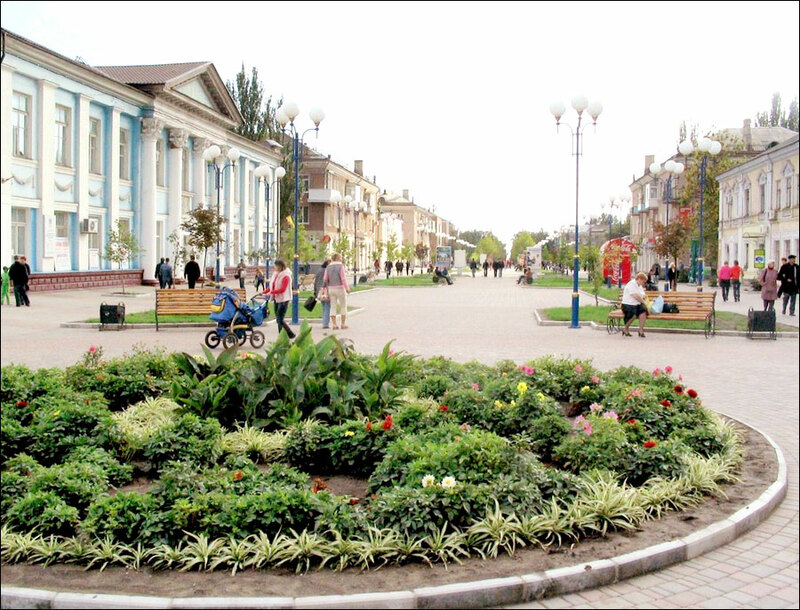 The park, located in the center of Berdyansk, occupies an area of more than 3.5 hectares. It is a favorite holiday destination for residents and visitors of the city. The park was laid in the middle of the 1870s. Today, it is named in honor of Lieutenant P.P. Schmidt, one of the leaders of the Sevastopol Uprising during the Russian Revolution of 1905. Water Park “The Cape of Good Hope” - one of the largest water parks in Ukraine, opened in 2006. In total, there are 28 different rides. The children’s area consists of a pool (40-60 cm deep), a children’s cafe (100 seats) and a fortress with three slides up to 3 m high. You can have a snack in a cafe or restaurant. According to the latest reviews, the service leaves much to be desired, the water slides and other attractions are rather worn out and not very clean. Makarova Street, 2-v. Opening hours: 10:00-18:00. Naresh asks: What is the distance between Berdyansk and the Russian border? The Ukrainian-Russian border is located about 150 km east of Berdyansk. Amy asks: I have family in Berdyansk and have never visited before, and would like to see where my Grandma lived and talked about. Is it safe? I'm travelling from Australia. Berdyansk is located quite close to the conflict zone in eastern Ukraine, about 100 km. So, certain risks exist. However, at the present time, the situation is stable, just follow the news and avoid going there in case of aggravation of the conflict. John Downey asks: I would like to visit Berdyansk. Is it safe to visit Berdyansk? Thank you. Berdyansk is located relatively far away from the conflict zone, the distance to Mariupol is about 80 km. From this point of view it is quite safe to visit this city. Of course you should follow standard precautions: don't walk alone at night, especially not in the central part of the city, avoid conflicts with locals, use MasterCard/Visa to keep your money, not cash, etc. A very good site with good opinions and very good details, go on! Thanks, rob van der velde, holland. I was searching for the place because I have seen a woman for love and marriage which is living there. Copyright © 2007 – 2019 UkraineTrek.com. All rights reserved. Copyright/IP Policy.